History remembers national championship teams, but rarely does it remember those who fought to reach that goal — and the people they are. Even rarer are those who achieve athletic excellence yet consider the striving more important than the success. 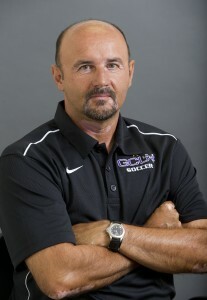 GCU’s longtime men’s soccer coach, Petar Draksin, is that kind of person. With 25 years of service to the University’s men’s and women’s teams, Draksin has built an impressive resumé: an NCAA championship, four Pacific West Conference titles, two California Collegiate Athletic Association titles and a record of 178-139-35 as head coach heading into Friday’s home opener against Colorado State University at Pueblo. Ask him about those things, however, and he will give you a wave of the hand. He’s much more interested in talking about his love of soccer, his commitment to GCU and his thankfulness for where he is in life. “Drak” arrived in Arizona in 1981 from New York with a dream of playing professional soccer. He achieved that goal, playing with various indoor and outdoor teams. His first team was the Phoenix Fire, who practiced on the land where the new GCU Arena now sits. 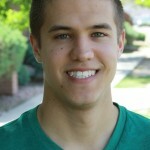 He also practiced on that site for more than two decades with youth soccer and GCU teams. In 1981, he met Peter Duah through soccer, and the two of them worked at launching soccer programs at various levels in Arizona. The effort was a success and led to the start of the men’s program at what was then Grand Canyon College. 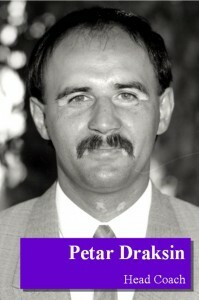 Duah took the job as head coach and asked Draksin, then coaching at Glendale Community College and Apollo High School, to be his unpaid assistant in 1986. “He told me he wanted me to be his assistant, but he failed to tell me that I had to drive the bus,” Draksin says with a laugh. “We used to call it the ‘Lopemobile,’ and we would drive it all over — San Diego, New Mexico, Colorado and Utah. He says the pay and the driving didn’t matter. Draksin recalls a time when the bus broke down on a trip to play the University of New Mexico. “We ran and hitchhiked all the way to make it in time for the game,” he says. He remained a volunteer assistant for GCU until the 2004 season, when he added some other responsibilities, working for less annually than what a coach would make in a two-week paycheck today. Draksin’s first eight years with the program under Duah were a great success, with a combined record of 86-44-10 and an NCAA Division II tournament appearance. The Antelopes also won the NAIA District 7 championship in 1989. Even more amazing is this: During that time and into his tenure as GCU’s head coach, Draksin coached various boys’ and girls’ teams to championships, was the assistant coach at Apollo High, helped get the GCU women’s team started and helped coach the Arizona Sahuaros’ premier and developmental teams. The Sahuaros won a league championship in 2003. 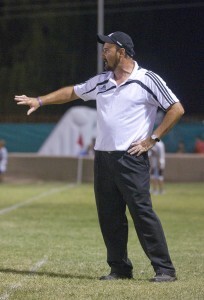 In 1993, he became head coach of the GCU men’s team when Duah took a coaching position with the Arizona Sandsharks, a professional indoor team. Draksin’s first season in charge didn’t go so well, with 11 consecutive defeats. He definitely fixed things, ending that season 5-1-1 as the Antelopes knocked powerhouse teams Fort Lewis College and Regis University (Division II) and New Mexico (Division I) out of the playoffs. The Antelopes had a winning season in 1994 and reached the quarterfinals in the 1995 playoffs. GCU hosted Seattle Pacific University in the 1996 playoffs — and had to create a makeshift field out of space in the back of the campus. GCU beat Seattle Pacific, 2-1 in three overtimes, and went on to defeat Lynn University (Florida) and Oakland University (Michigan) to win the national championship, which still stands as GCU’s only NCAA team title. Draksin admits he tried to imitate the Seattle Pacific program, which holds the most Division II soccer championships, and the two schools remain fierce rivals to this day. He says he also measures success by his assistant coaches and players. Although soccer matters to Draksin, GCU matters even more. “I love where we’re going as a University,” he says. “I am a blessed man, and I know that God and the people who understand me are looking into my heart. That’s all that matters. “My passion isn’t only for soccer, but for this University. No one should mistake that. It is very important to me, what happens to this place. I know I am here for a reason.